These autumn-inspired craft and decor projects use leaves, pinecones, and plants from the garden. They are simple, frugal, and easy to make. For more seasonal projects, all see Fall and Winter Garden Tips. The autumn garden is very generous, providing us with food, seeds for next year, and a lot of potential crafting supplies.Here’s some recent favourite ideas from Empress of Dirt and around the web. A few dry leaves, glass picture frames or vases, and some Mod Podge are all it takes to create this beautiful lantern. The leaf-preserving method shown here using beeswax is a gateway to all sorts of craft projects including these wonderful falling leaves. 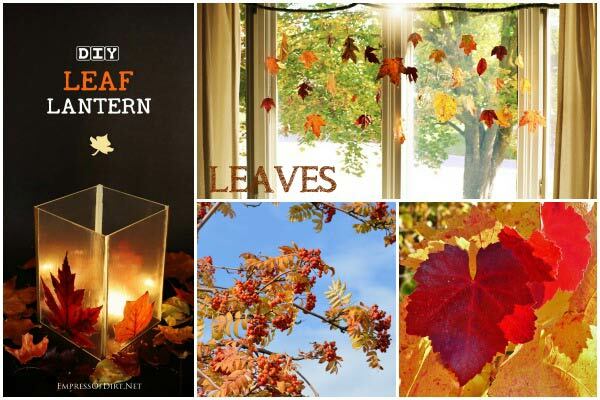 Here’s another way to create a beautiful display of fall leaves in your home. Attention owl fans. 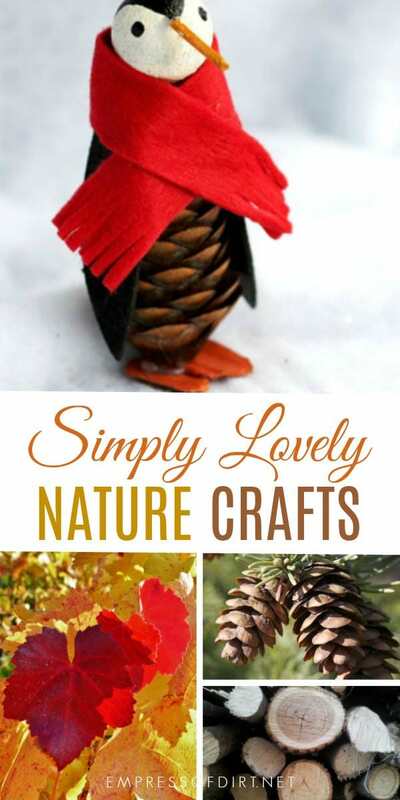 There’s lots of fun ways to make them using stones, pinecones, burlap, and more. Make a penguin, owl, and mouse! 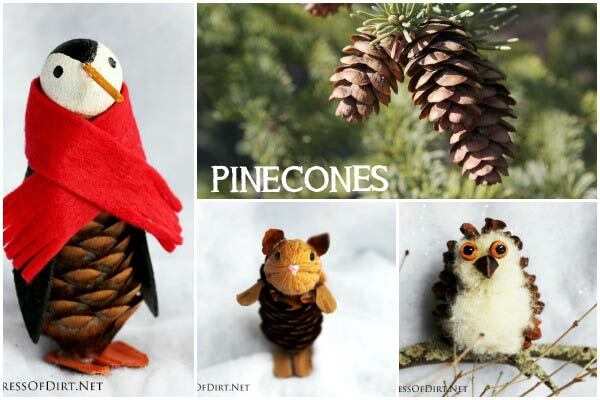 This sweet project uses felt squares and pinecones. See how to coat and scent pinecones for an indoor display. This process for bleaching pinecones gives them a very interesting look. Got an old crock pot you no longer use? 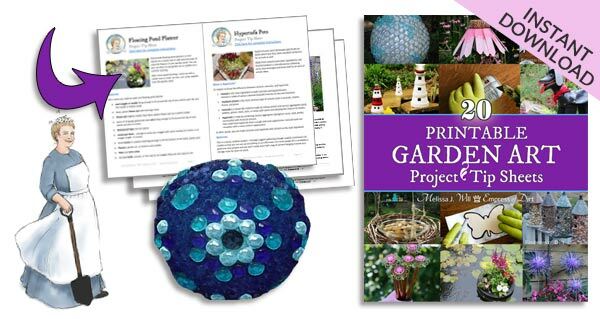 Use if for these craft and DIY projects. 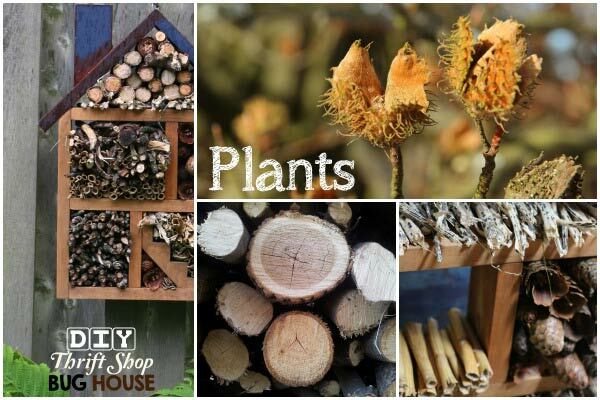 Any deadheaded plants, twigs, or other natural debris are fair game for a bug house. Mine has been fully occupied from the day I hung it up! Love dried flowers? There’s several ideas here for creating various decor items. I know why hydrangea wreaths are so popular. Those giant flower heads are so irresistible, you can’t help but want to give them a second life when they’re done blooming. Here’s a fun idea for styling old corn husks into pumpkins. 13. Grow a Sweet Pea Garden Arch | A tutorial from Gardening on a Shoestring here on Empress of Dirt. I hope you’ve found some projects to try. Go gather some materials and have fun with it. 14. See all of the crafts and household goods you can make from a block of natural beeswax including these beautiful beeswax candle bowls. It’s so nice to have a Canadian newsletter, thanks!!! I love these ideas, Melissa. Keep it up!